We went to a wonderful Harry Potter exhibition in London on Saturday. Free things to do in London can be hard to find. 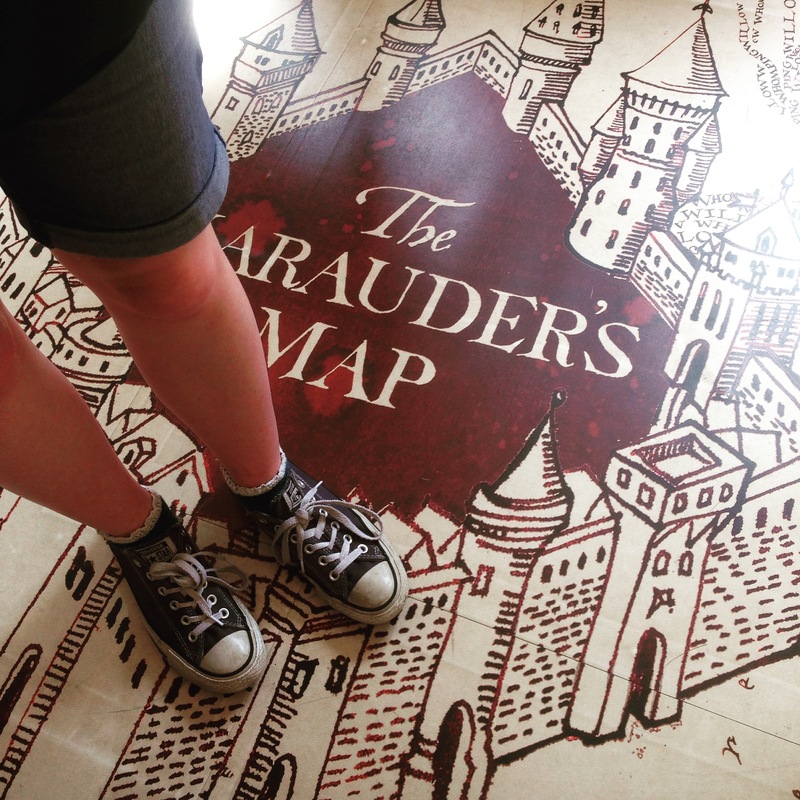 If you’re a Potterhead in the capital this summer, be sure to track it down on your Marauder’s Map. We loved it, but it wasn’t hugely busy even on a Saturday afternoon, so I suspect not so many people know about this yet. 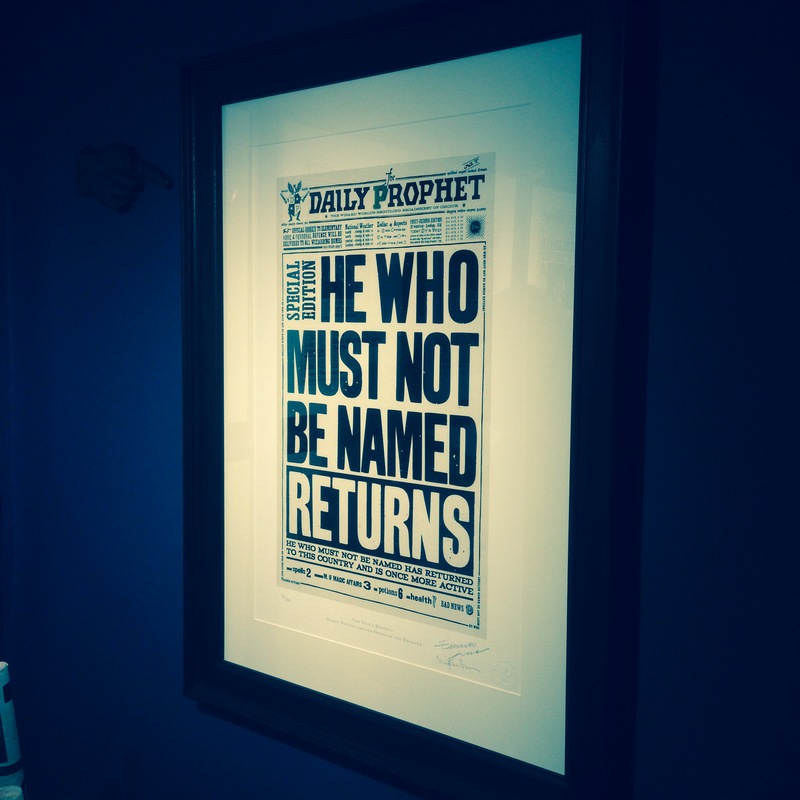 The Harry Potter Graphic Art exhibition comes courtesy of design studio MinaLima. 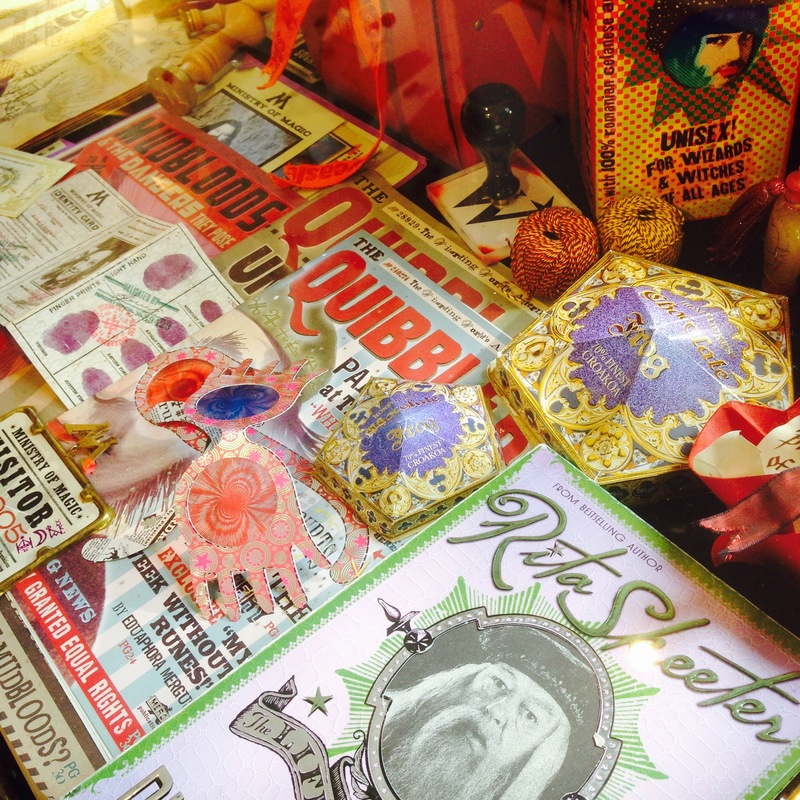 They’ve opened the doors of their eponymous House of MinaLima to showcase 15 years of award-winning creative collaboration with the Harry Potter films. 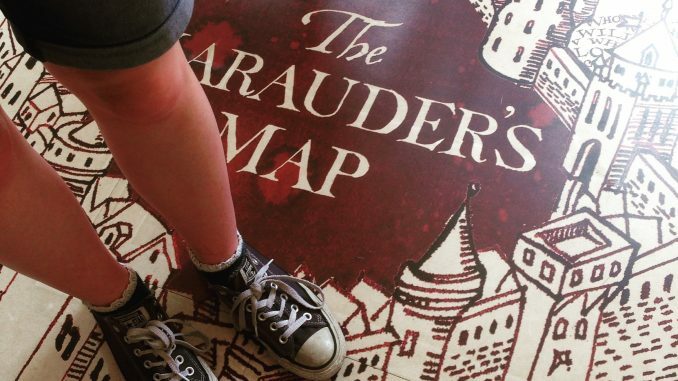 The exhibition includes graphic art and authentic film props from the Harry Potter films. 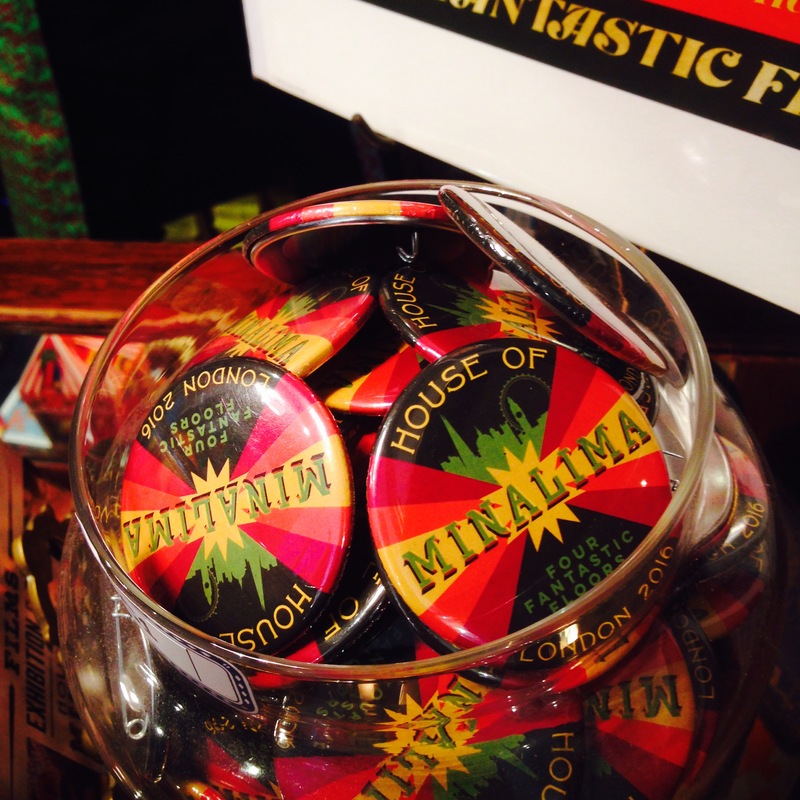 The House of MinaLima extends over four floors. The down side to this is that it’s not suitable for anyone with mobility problems, or babies in prams, since there is a fairly narrow staircase to navigate. 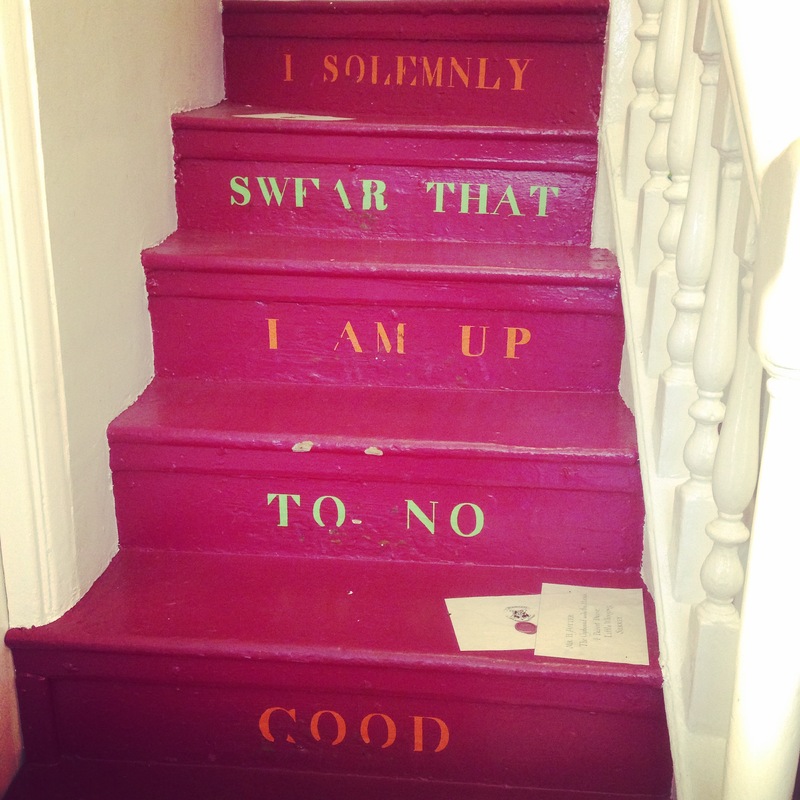 But what a staircase! 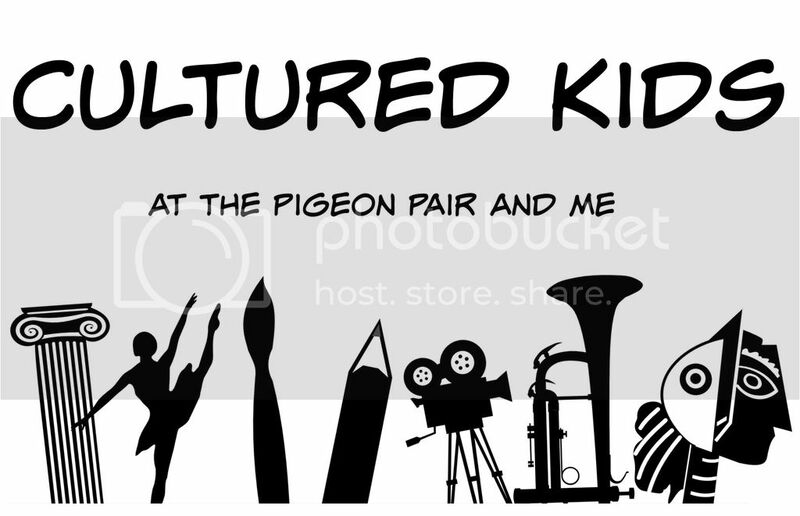 It’s a really delightful place to visit, and the staff are particularly friendly, welcoming and knowledgeable. As you enter, there’s a small gift shop on the ground floor. 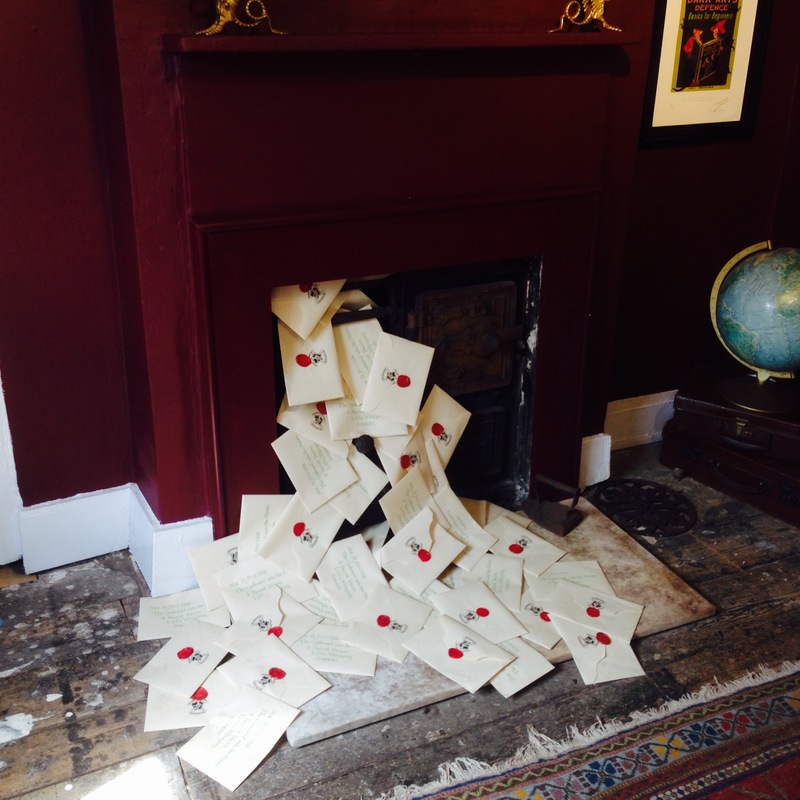 Items for sale include limited edition prints from the Harry Potter films, postcard sets, prop replica notebooks and a brand new product, the Hogwarts Acceptance Letter. Across the four floors you’ll see enchanting visual surprises and specially created immersive experiences and distinctive designs. It’s really magical. 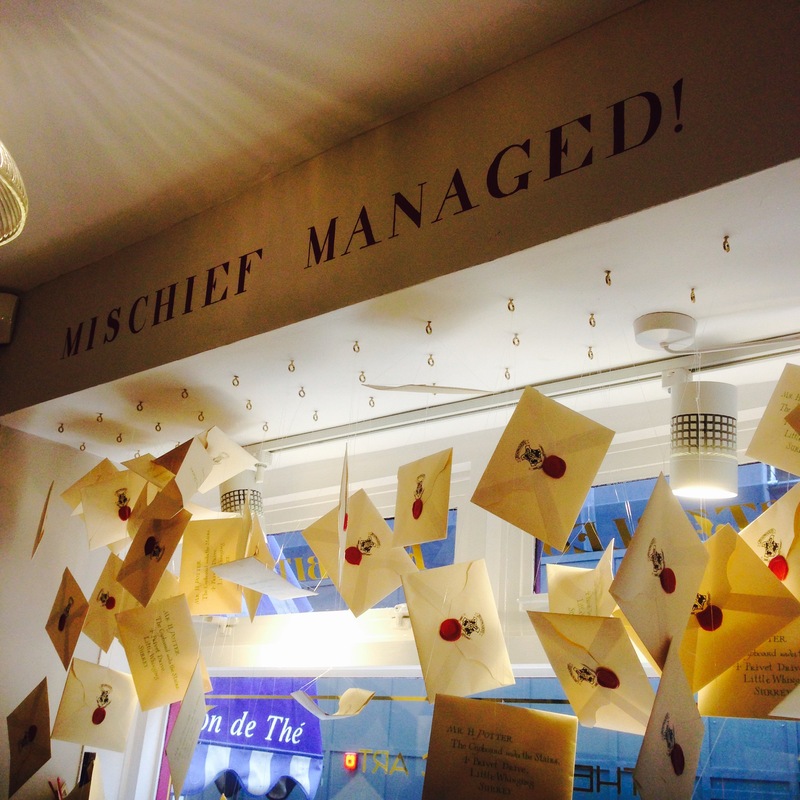 The Harry Potter exhibition is located on Greek Street in Soho. If not travelling by broomstick, the nearest Tube is Tottenham Court Road, or it’s easily walkable from Oxford Circus Tube. 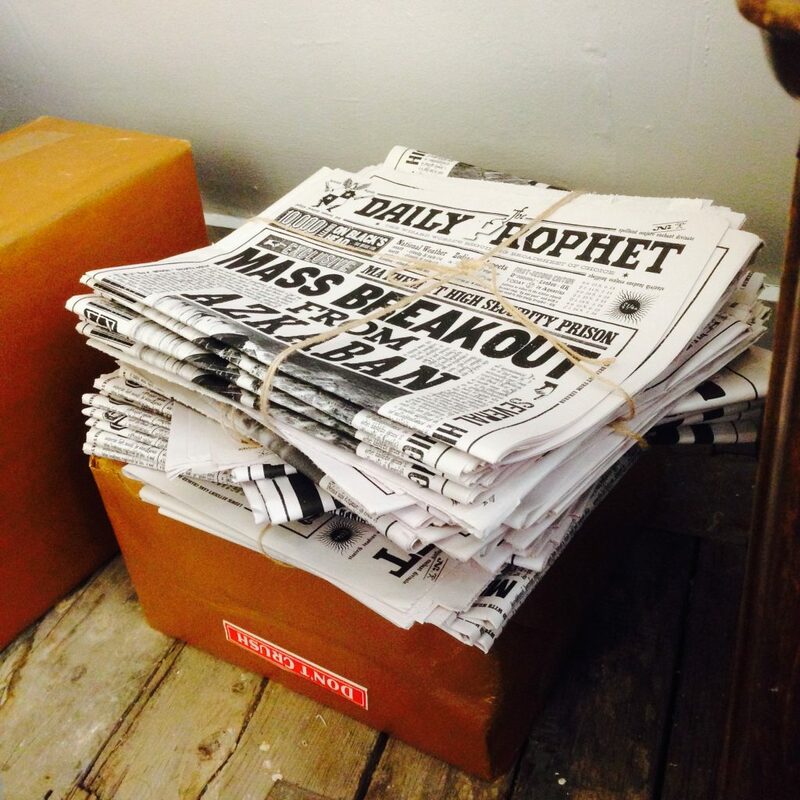 Fifty authentic film props, including the Marauder’s Map and the Daily Prophet newspaper (on loan from Warner Bros. Studio Tour) are on display. What’s lovely is the chance to examine close up so many of the artifacts and props that were made for the Harry Potter films. These things just whizz by on screen, and it’s only when you linger over them that you see the thought, creativity and craftsmanship that has gone into their design.